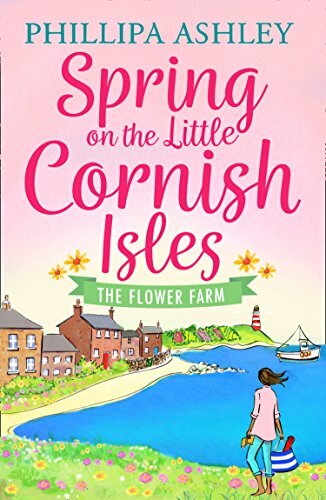 Jess has lived at the idyllic flower farm on the Isles of Scilly her whole life, but when her boyfriend Adam leaves without explanation, Jess discovers that even her little slice of Cornish heaven can be lonely. For the first time in Will’s life, he’s met someone he can’t stop thinking about. But nothing is simple when the woman of your dreams is working for you. Gaby is running away from painful memories, and where could be more perfect than a remote island off the Cornish coast? But to put the past behind her, she must keep moving … however much she might want to stay. Nothing is simple, even on paradise. Will love bloom for the residents of the little Cornish Isles? Review: This is Book 2 in the Little Cornish Isles series from Phillips Ashley. The first book in the series introduced us to the Little Cornish Isles at Christmas time, and to the Driftwood Inn, a hotel on one of the islands in particular. I very much enjoyed that story and was looking forward to this one as well. The islands, people and businesses mentioned in these stories are in the main fictional, but very much based on the real Isles of Scilly, a place obviously dear to Phillipa's heart. 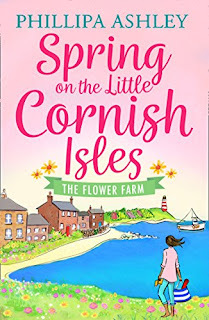 As the title of this book suggests, the story centres on a flower farm on one of the neighbouring islands (St Saviour's) to the setting for the Driftwood Inn. The flower farm is run by twins Jess and Will Godrevy, who were forced to take over when their father left their mother to live with another woman. They have built up a successful business, but have had to give up other dreams to do so. At the beginning of the story, we meet Gaby Carter, who is the newest addition to the group of seasonal workers harvesting and packing flowers for shipment to the mainland and onward to wherever required. As well as these more central characters, many of the people who were included in Book 1 of the series crop up again, including Maisie and Patrick from the Driftwood Inn, Jess's postman boyfriend, Adam, and Hugo, who runs a high-class resort on the neighbouring island of Petroc. Another new character is suave Italian businessman, Luca, who has come to advise Hugo on operations at the Petroc resort. This is a wonderful tale describing the hard work required to produce the beautiful blooms we all love to see in the spring and the dedication of the people involved in this industry. The author must have put in such a lot of research to enable the detailed descriptions of the processes involved. Through her skilful writing you can really feel the struggle that the Godrevy twins experience choosing between duty to their farm and the direction their heart would like to lead them. In addition to this, through her wonderful descriptions, Phillips Ashley has once again made me eager to visit this area of the country where everything revolves around the state of the tide and ferry timetables. I think that this story would make good holiday reading, but is equally suitable for lending a bit of escapism at any other time. It was one of those books that grabbed me right from the start and wouldn't let go, so eager was I to learn what was going to happen to the characters and relationships building within its pages.